Stravaigin sits on Gibson street in Glasgow’s west end, surrounded by a host of good quality bars, restaurants and entertainment venues. Inside, it’s one of the most fantastic venues I’ve ever set foot in. It feels very intimate, despite being spread out over several levels and there are so many little nooks and crannies to hide away in with a few drinks. There was something about the lively chatter and laughter that filled the restaurant that made me even more excited about the meal that I was about to have, as soon as we walked through the door. The restaurant is beautifully Scottish and one of the nicest settings you could ever hope to enjoy a meal in. Let’s get the positives out of the way first; because unfortunately, not everything about this visit was a great as the venue itself. 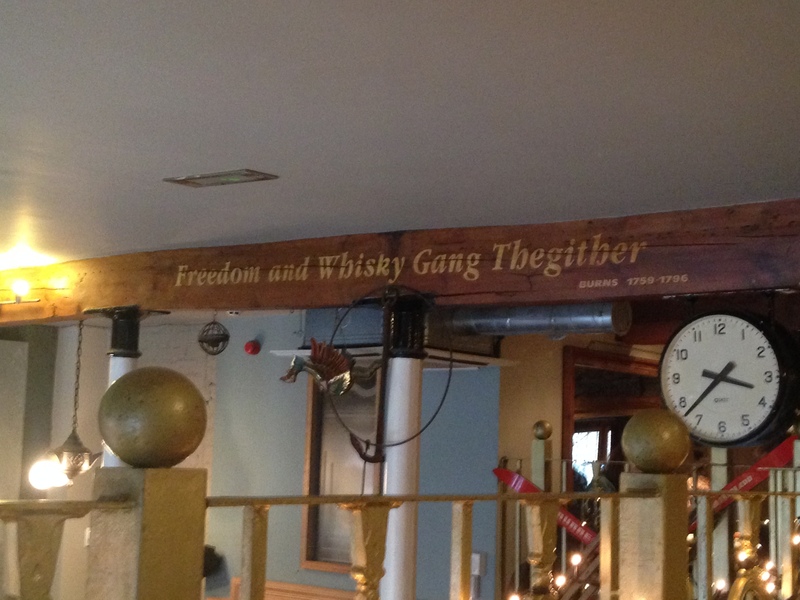 As mentioned, I love the setting, the vibe, the decor and the wonderfully eclectic menu. While I ordered the burger, Pamela ordered the Nasi goring and it was beautiful. The Indonesian fried rice was full of flavour and the poached egg was perfectly cooked. It was one of the best Nasi goreng dishes that I’ve ever tasted and as soon as I had taken my first bite, I was regretting not ordering it for myself too. Now, on to where things took a turn. I ordered ‘Stravaigin’s famous beef burger’ as described on the menu. 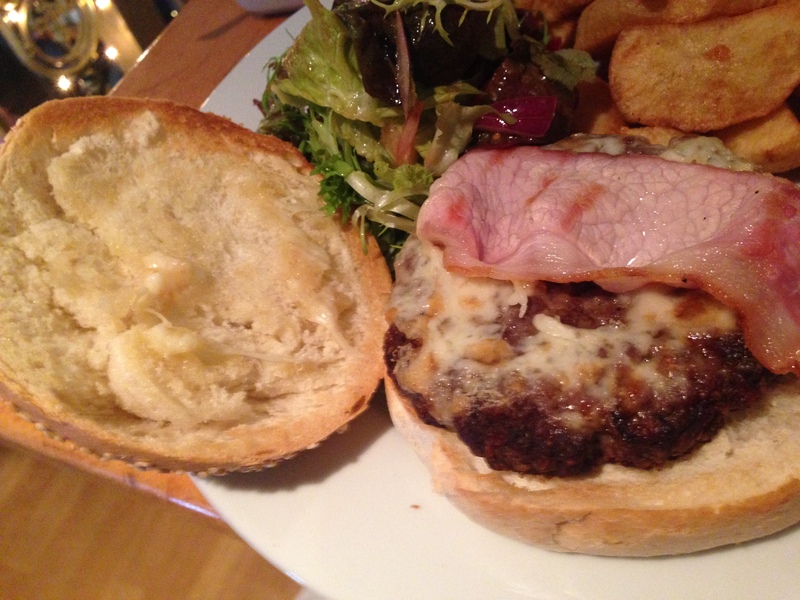 It was served on a seeded bun with salad on the side and a portion of Maris Piper chips. Priced at £8.95, it comes with no other toppings, but there’s a selection to choose from, priced at 95p each. I added cheese, bacon and kimchi, which I was surprised to find on the menu. You don’t see it in Glasgow very often, but I was glad to find it here. 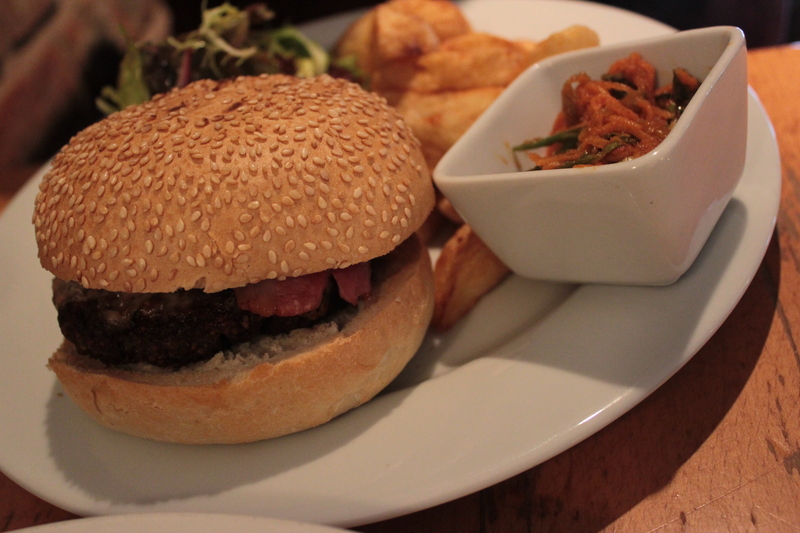 The burger came topped with cheese and bacon and with the kimchi served on the side. I put the kimchi on the burger and took a bite, but the beautifully delicious kimchi was overshadowed by just how awful the beef patty was. After tasting the delicious Nasi goreng and knowing the reputation that Stravaigin has for excellent food, I was fairly shocked at how overcooked the burger was. It wasn’t that it was even just a little crispy on the outside, it was flat-out nuked to a crisp. The meat had quite a strong, peppery kick and actually reminded me of an over-cooked lorne sausage rather than a burger. I also added Kimchi, which was delicious. Inside, the meat was a deathly grey colour and very grisly. Even breaking a bit of the patty off to taste on its own was difficult and it was so hard that I probably could have bounced it off the wall without causing it any damage. The bun was nicely toasted and did a good job of holding the contents in – but there was really no juices coming from the burger that could have destroyed the bun anyway. This was seriously dry and a struggle to eat. 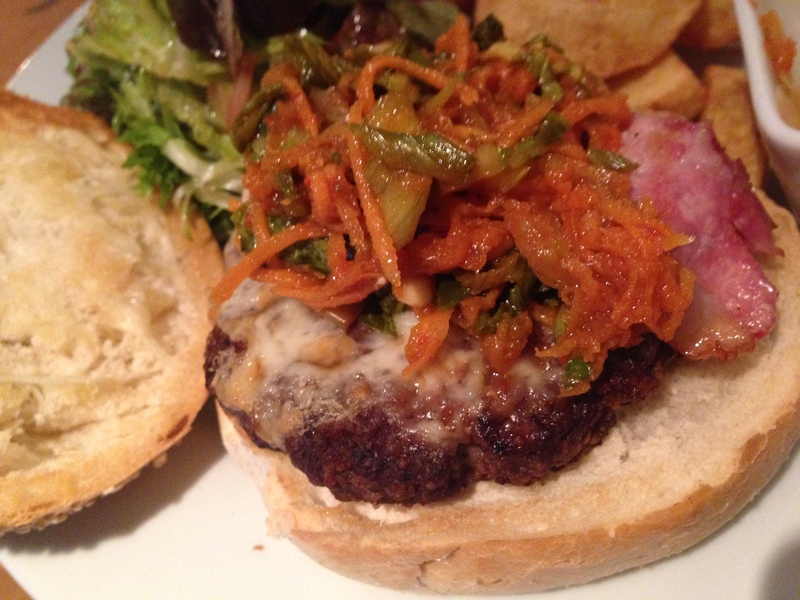 The only good part of the whole burger was the kimchi, which was absolutely fantastic. It was just the right balance of sour and spicy and the heat that came through at the end was eye-wateringly good. Really, really fantastic. 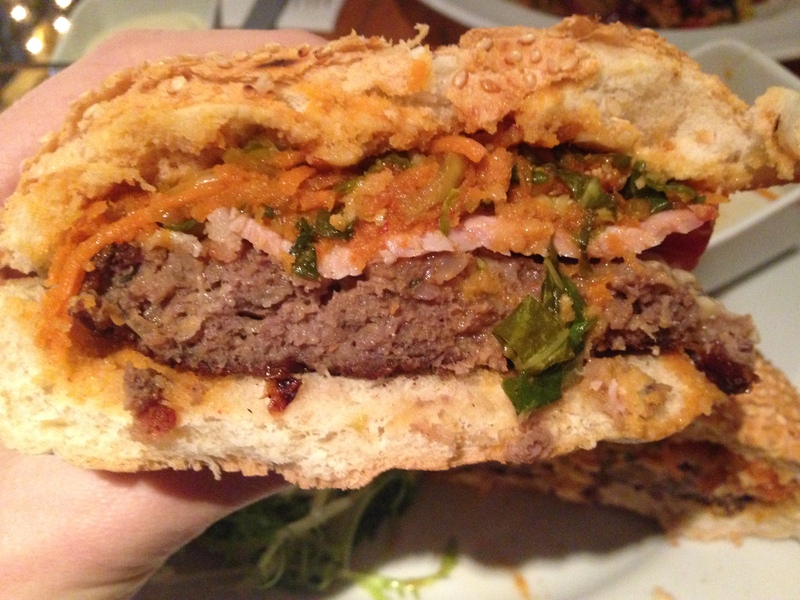 Unfortunately, not even the delicious kimchi could help make the patty edible. After eating just under half of the burger, I gave up. The patty was severely overcooked. Fortunately, the chips that came on the side were really great. They were chunky, well-seasoned, crispy on the outside and super-soft on the inside. They tasted fresh too – I think that a big bowl of these with some kimchi on the side would have been better than the burger. It’s difficult to understand how such a bad burger could be sent out, considering Stravaigin’s excellent reputation and how good the Nasi goreng was. 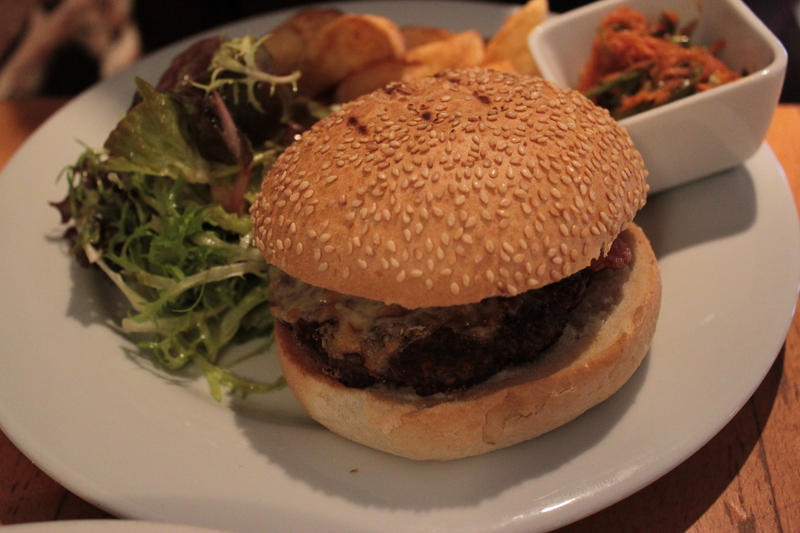 Also, £8.95 for a burger of this quality with no other toppings is just unacceptable in Glasgow’s thriving food scene. Because I liked the venue so much, I’d definitely go back for drinks or to try some breakfast; however, this was one of the most disappointing burgers I’ve ever had and not what I expected from Stravaigin at all. – Patty was beyond overcooked. 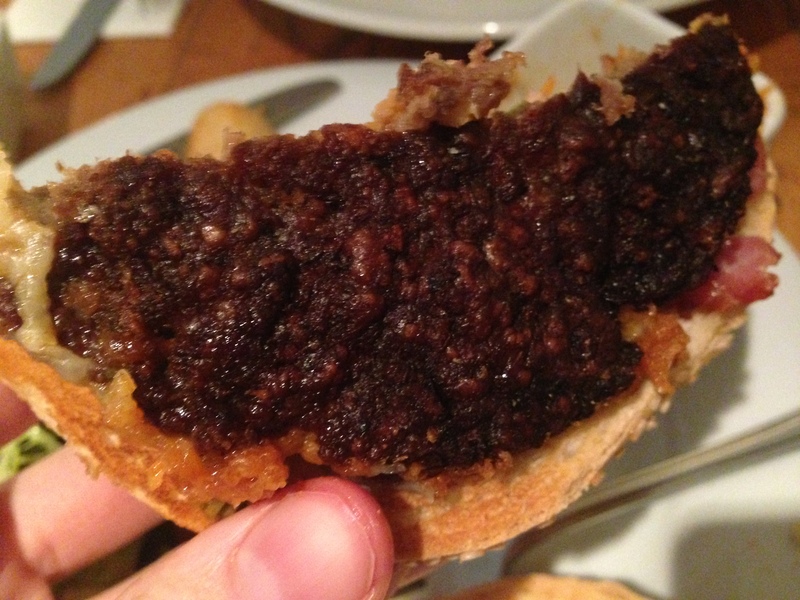 – Tasted more like an over-cooked Lorne sausage than a burger.